Runners and walkers are welcome in all events! The Marathon, 2-Person Relay, 4-Person Relay, and Half Marathon, will be held on Sunday, March 31, 2019. The marathon, relays, and half marathon will start at 7:30 am. NOTE: The 2019 Covenant Kids Run will be held on Saturday, March 30, at 5:30 pm and the 2019 Covenant Health 5K will be held on Saturday, March 30, at 7:00 pm. Start area is in Downtown Knoxville on the Clinch Ave bridge, just outside the Knoxville Convention Center, near the intersection with Henley Street. *All times are subject to slight modification if necessary. All races (except the Covenant Kids Run) will be timed using a chip timing system. The timing chips will be attached to the bibs for marathon, half marathon, relay, and 5K participants. 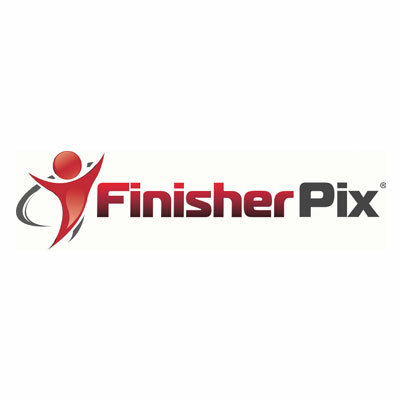 FinisherPix is proud to be the Official Photographer of the Covenant Health Knoxville Marathon. They will post 2019 race photos a couple of days after the race. NEW FOR 2019! Race photos will be provided to the participants FREE OF CHARGE! All participants in every race will receive a top-quality t-shirt. All participants in every race will receive a goody bag at the Health and Fitness Expo. 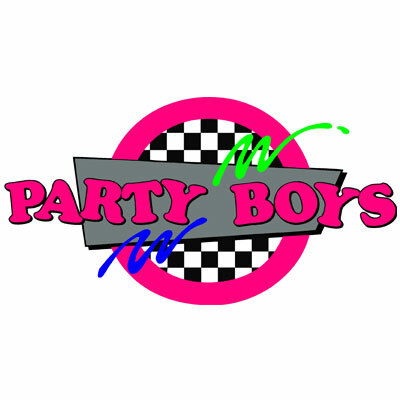 Party Boys DJ Show will be at the start, finish, and at several on-course locations providing the musical motivation to keep you moving. For every year of the CHKM, Party Boys has provided much-needed energy to the runners and spectators and helped make this feel like a celebration as much as a race. Look forward to them being out there for you again this year! We will have 30 great musical acts lined-up all over the course! Dante Music Entertainment has recruited and coordinated live musical acts that will give you a feel for locally grown music and they’ll keep you moving. Click here to view the 2018 bands and their locations. The Pilot Flying J Post-Race Party will be held immediately after you finish, just steps from the finish line at World’s Fair Park, the site of the finish. The celebration will feature food, beverages, live music and awards! We have arranged for Food Trucks to join us on both Saturday, March 30, and Sunday, March 31, including two of Knoxville’s favorites – Forks on the Road, Penne For Your Thoughts, and CJ’s Tacos! They’ll be selling food to spectators, family members, or participants who are looking for more than the provided post-race food that comes with your entry. Course maps, elevation profiles, and course descriptions are in the race information for each specific race. The Covenant Health Knoxville Marathon has an Event Alert System for race day. Click here to learn more about the EAS. To add to the excitement and fun, there are two different ways to participate in these events as a member of a team. There is the 2-Person Relay, where each person completes approximately half of the full marathon course. There there is the 4-Person Relay, in which each person completes approximately 1/4 of the marathon course and together, the team gets one time. Male, Female, and Co-Ed divisions are offered in the 4-Person Relay. There is also the Fittest Company Challenge. See below for more details. The Fittest Company Challenge is a special contest for Knoxville-area organizations. For each employee or immediate household family member of an employee who finishes a race, your company gets points (26.2, 13.1, 13.1, 6.55, or 3.1 for the marathon, half, 2-person relay, 4-person relay, and 5k, respectively.) All points are added together and the company with the most points wins the Fittest Company award. There are categories for small, medium, and large companies, as determined by number of employees listed in Knoxville Chamber’s directory of area employers. Interested in having your company participate? Have your wellness or fitness director or someone else from your company contact us and we’ll add you to the list. Just make sure your employees or their immediate household family members include your Employer Name on their registration forms. We are organizing pace groups to help get you to the finish line. We will have pace groups led by experienced runners for paces ranging from from 3 hours to 6 hours. *If you are interested in leading a pace group, please contact us in the marathon office. Marathon, Half Marathon, and Relay award ceremonies will be held on Sunday after the races, near the finish line at World’s Fair Park. 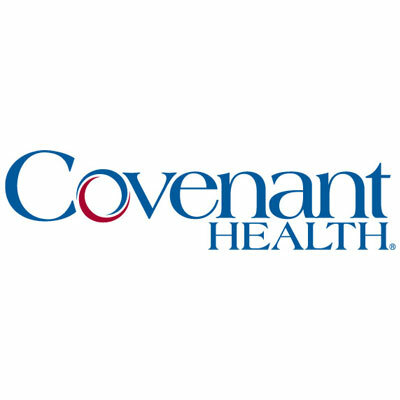 The Covenant Health 5K award ceremony will take place on Saturday night at 8 pm, at the same location. NOTE: No Double Dipping. Combining of cash awards is not allowed. For instance, if the 3rd overall male marathon finisher is also a masters runner, then he would receive prize money for the 3rd overall finish only. Any athlete receiving $600 or more dollars will be required to complete a W-9 before receiving payment. Taxes may be withheld for non-U.S. residents, per the IRS publication 515 regarding Taxation of Foreign Resident Aliens. All prize monies will be mailed within two weeks of the event once the race results have been deemed official. We reserve the right to drug test all prize money winners after the race but before issuing any prize money. Plaques will be awarded to the overall top five men and women. Plaques also will be awarded to the top three male and female masters (>39 years) and the top male and female finisher in each of the Grandmaster (>49 years) and Senior Grandmaster (>59 years) categories. Age group awards in the marathon will be presented to the top three finishers in the following categories for both male and female: <20, 20-24, 25-29, 30-34, 35-39, 40-44, 45-49, 50-54, 55-59, 60-64, 65-69, 70-79 and 80+. Team awards will be presented to the top teams in Male, Female, and Co-Ed divisions. Age group awards in the half marathon will be presented to the top three finishers in the following categories for both male and female: <15, 15-19, 20-24, 25-29, 30-34, 35-39, 40-44, 45-49, 50-54, 55-59, 60-64, 65-69, 70-74, 75-79 and 80+. Team awards will be presented to the top teams in Male, Female, and Co-Ed divisions. Plaques will be awarded to the overall top three men and women. Awards also will be awarded to the top three male and female masters (>39 years) and the top male and female finisher in each of the Grandmaster (>49 years) and Senior Grandmasters (>59 years) categories. Age group awards will presented to the top three finishers in the following categories for both men and women: 14 and under, 15-19, 20-24, 25-29,30-34, 35-39, 40-44, 45-49, 50-54, 55-59, 60-64, 65-69, 70-74, 75-79, and 80+. Finishers medals will be presented to all Covenant Kids Run finishers. Kids who have completed the build-up program of 25.2 miles prior to race day will be presented with a special award when they present their completed mileage log at packet pickup at the Expo on Saturday, March 30. Special packages available to qualified elite athletes in both the full and half marathon. Please contact our athlete coordinator to discuss elite athlete participation.